Since the Cambridge Analytica fallout, there have been demands for change, hearings and even a #DeleteFacebook campaign. But it turns out all of that hasn’t really translated into any meaningful shift in Facebook users’ behavior. The Wall Street Journal reports that over the past few weeks, Facebook users, for the most part, haven’t changed their privacy settings despite the uproar against Facebook. “We have not seen wild changes in behavior with people saying I’m not going to share any data with Facebook anymore,” Carolyn Everson, Facebook VP of global marketing solutions, said to the Wall Street Journal CEO Council this week. She also said that the company wasn’t anticipating any major revenue effects or changes to its business model. And in regards to ad sales, Everson said the company didn’t foresee stricter privacy laws coming into play that might lead users to opt out of targeted ads and cause a drop in that revenue stream. Congressional leaders are already working on legislation aimed at boosting consumer privacy protection. Earlier this week two senators introduced the CONSENT Act, which would give the FTC the ability to enforce privacy regulations geared towards online platforms, and following the Mark Zuckerberg hearings, two other senators announced plans to introduce their own set of privacy protection rules. And regulation was brought up quite a bit throughout Zuckerberg’s testimony before the Senate and House committees. During the hearings, the CEO agreed to work with Congress on legislation that would regulate platforms like Facebook. We’ve been covering the rumors and leaks surrounding the new Gmail redesign that’s coming in the next few weeks, and now The Verge has a new tip. Google is introducing a Confidential Mode, which will allow Gmail senders to prevent recipients from forwarding, copying, downloading or printing certain emails. Gmail is also adding more features that will appeal to business users. You can set a a passcode to open emails, generated by SMS, and set an expiration date on emails. These are, of course, in addition to the features that have already been leaked, such as snooze, smart replies and the different views of Gmail. Mercedes’ eSprinter van is designed as a purely commercial vehicle. Need more proof? Once it goes on sale, it’ll have a pair of battery options, but neither will get you further than 93 miles, according to Electrek. While that sounds nightmarish if you’re hoping to take a long jaunt on the highway, delivery vehicles typically spend their time in the city making short trips. Top speed can also be limited to 50 MPH to eke out extra range, otherwise it’s capped at 75 MPH. The van’s 84 kilowatt electric motor produces 300 Newton meters (221.3 lb.-ft) of torque. Pricing isn’t available, but Mercedes says to expect it to cost more than the $50,000 base price of the gasoline-powered version. The extra cost, according to Mercedes, will be offset by lower operational expenses and tax savings. However, there’s no word on whether or not you’ll be able to get one via a Mercedes-Benz Collection subscription. This post was done in partnership with Wirecutter. When readers choose to buy Wirecutter’s independently chosen editorial picks, it may earn affiliate commissions that support its work. Read the full article here. A projector in this price range won’t look as good as a TV screen during daytime viewing, and it won’t have the 4K and HDR support of the latest batch of TVs in this price range. But if screen size is your top priority and you don’t have a dedicated home theater room, the projectors in this guide are for you. After brightness and contrast, color accuracy comes next in importance, followed by (more distantly) resolution and color temperature. In this price range, a 1080p projector with accurate colors on a neutral white screen is the best for most home video uses. You should also look for features that make setup easier, such as a zoom lens with a throw ratio around 1 or lens shift, which makes installation and alignment easier. 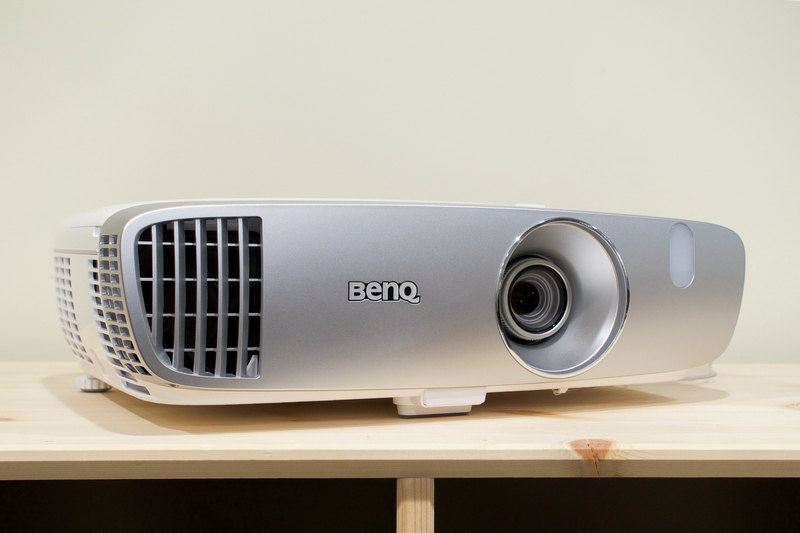 To read more about how these specs and features can affect a projector’s performance, please see our full guide to $1,000 projectors. To test projectors, we measured their light output, contrast ratio, color and color temperature accuracy, and more using $10,000 worth of professional-grade test equipment. Because numbers don’t reveal the whole picture, we also placed each projector side-by-side and displayed the same content on identical screens. This made it easy to see differences in color and brightness in a real-world scenario that better simulates how people actually use projectors. The BenQ HT2050 offers accurate colors, creating an image that’s more realistic and lifelike than that of other models at the same price. It produces a bright picture with great motion detail and a great contrast ratio that’s about double that of similarly priced competitors. Overall, the image is as good as (if not better than) what you can get from many projectors costing hundreds more. The HT2050’s light output is plenty enough to illuminate a typical home theater screen. It uses an RGB color wheel, which is slightly less bright than the more common Brilliant Color wheel from Texas Instruments, but results in more accurate colors. You can enable Brilliant Color in the Advanced menu if you need extra brightness and are willing to deal with less accurate colors, but the HT2050 is more than bright enough without this feature. The BenQ HT2050 has two HDMI ports, component inputs, composite inputs, and a standard USB Type-A port capable of powering a streaming stick. Combined with the HT2050’s built-in speaker, this projector gives you the ability to have impromptu outdoor family movie nights using a single extension cord. 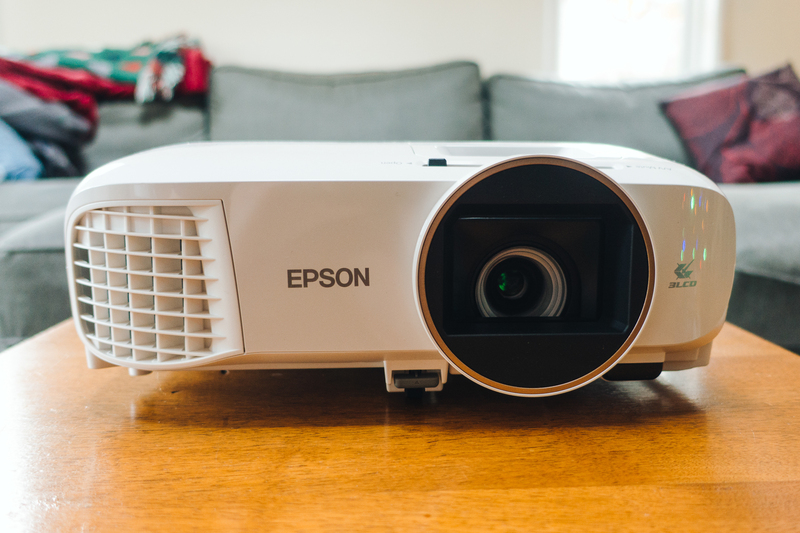 The Epson Home Cinema 2100 offers slightly lower contrast ratios than our pick, but it’s a brighter model, and thus a better choice if you can’t make your room completely dark. Like our top pick, it has an integrated speaker and a USB port, making it suitable for outdoor movie nights. Although it can’t produce the dark blacks of the BenQ, the Epson’s overall image quality is quite close. The Epson 2100 uses three LCD panels—which need to be perfectly aligned in order to create a perfectly sharp picture—so it isn’t as sharp as the BenQ, which uses a single DLP panel. Each of the three LCD panels is responsible for one color (red, green, and blue), but due to their small size (about 0.6 inch across), even the smallest fraction of misalignment can produce barely perceptible color fringing on a giant screen. This issue is one inherent to the three-panel design that’s impossible to avoid, but it doesn’t produce the rainbow effect seen in DLP projectors. If you don’t have the space for a standard projector, or if you want something you can easily set up and not leave out all the time, you might want a short-throw projector, which needs less space between the lens and the screen. 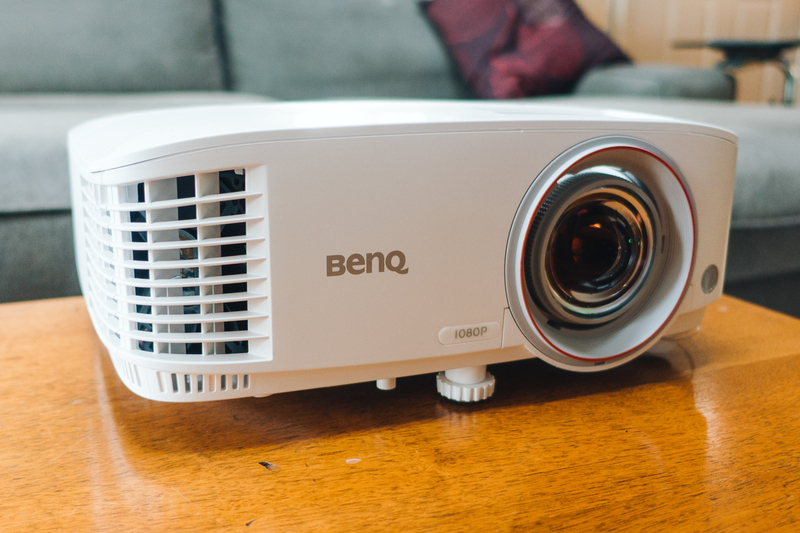 The BenQ HT2150ST can produce a 100-inch image while sitting less than 5 feet away from your wall or screen, which lets it fit into more confined spaces. Our main pick, the BenQ HT2050, has to sit between 100 and 130 inches from your screen to produce a 100-inch image. This flexibility comes with a trade-off: the image is less clear and the colors are not as vivid, but it still produces a good picture. Unlike our top pick, the 2150ST uses the TI Brilliant Color wheel instead of an RGB wheel. This makes the image brighter, but results in subdued and less accurate colors. That said, the brighter whites can be beneficial if you’re watching in a room without much light control. For Mark Zuckerberg and Facebook, this week was a trial by fire. Over the course of two days (April 10-11), senators on the Senate Judiciary and Commerce Committees, as well as representatives from the US House Energy and Commerce Committees, grilled Facebook’s 33-year-old CEO on a number of matters, including the recent Cambridge Analytica scandal, the company’s role in the 2016 U.S. presidential election, and its position on government regulation regarding user privacy. And while Zuckerberg’s testimony was widely viewed as a successful defense of the company he started in 2004 — Facebook’s stock was up 4.5% at market close the first day of hearings — there were many questions Zuckerberg left unanswered. Here’s a breakdown of the questions he could not address. Zuckerberg told Grassley he does not have the “exact figure” of how many times Facebook required an audit to “ensure the deletion of improperly transferred data,” but added he would have his team follow-up with him. Zuckerberg told Sen. Dianne Feinstein (D-Calif.) his team will get back to her about the “tens of thousands of fake accounts” and whether they could be “specifically” attributed back to Russian intelligence. Zuckerberg told Sen. Maria Cantwell (D-Wa.) he would get back to her on whether any Facebook employees worked with Cambridge Analytica. Zuckerberg told Sen. Roger Wicker (R-Miss.) he would get back to him about whether Facebook tracks user activity once a user logs off Facebook. Zuckerberg also promises to circle back with methodology about how it discloses to users this type of tracking. Sen. Amy Klobuchar (D-Minn.) asked whether the 87 million users affected by Cambridge Analytica were concentrated in certain states. Zuckerberg said his team will circle back with her office about further details. Klobuchar also asked whether Zuckerberg would support a rule requiring Facebook to notify users of a breach within 72 hours? “Senator, that makes sense to me, and I think we should have our team follow up with yours to discuss the details around that more,” Zuckerberg replied. Sen. Roy Blunt (R-Missouri) asked whether Facebook tracks offline data — data that’s tracking that’s not necessarily linked to Facebook but linked to one — some device they went to Facebook on. Zuckerberg said he’s not sure of the answer to that question, he wants to get it right and he wants his team to follow up afterwards. Sen. Ted Cruz (R-Texas) asked whether Zuckerberg is aware of any ad or page taken down from Planned Parenthood. “Senator, I’m not,” Zuckerberg said. Cruz asked whether Zuckerberg is aware of any ad or page taken down from moveon.org? “I’m not specifically aware of those…,” Zuckerberg says. Cruz asked whether any of the 15,000-20,000 people engaged in content review have ever financially supported a Republican candidate for office. “Senator, I do not know that,” said Zuckerberg. Sen. Mazie Hirono (D-Hawaii) asked whether Facebook plans on cooperating with President Trump’s extreme vetting initiative to target people for deportation or other ICE enforcement? “Senator, I don’t know that we’ve had specific conversations around that,” said Zuckerberg (He later said Facebook would not proactively do that). Sen. Kamala Harris (D-Calif.) asked whether Zuckerberg whether anyone in Facebook leadership had a conversation not to inform Facebook users affected by Cambridge Analytica breach. “I’m not sure whether there was a conversation about that,” Zuckerberg commented.” But I can tell you the thought process of the company, which was that in 2015, when we heard about this, we banned the developer and we demanded that they delete all of the data and stop using it, and same with Cambridge Analytica.” Harris asked whether Zuckerberg knew when the decision was made not to inform Cambridge Analytica users. “I don’t,” Zuckerberg said. Sen. Tammy Baldwin (D-Wis.) asked Zuckerberg to identify which other firms also received the same user data Cambridge Analytica received from Kogan. “Yes, there’s one called Eunoia, and there may have been a couple of others as well. And I can follow up with [your team]…,” said Zuckerberg. Rep. Greg Walden (R-Ore.) asked about fake pages, but ran out of time. Rep. Frank Pallone (D-NJ) asked whether Facebook will make the commitment to change all the user default settings to minimize the collection and use of users’ data. Zuckerberg said the issue is complex, and requires more than a one-word answer. Pallonne said he will follow up on this question. Rep. Anna Eshoo (D-Calif.) asked if Zuckerberg was willing to change Facebook’s business model in the interest of protecting individual privacy. Zuckerberg said he was not sure what that means and Eshoo said she would follow up. Rep. Gene Green (D-Texas) asked about when Facebook users in the United States will get the same rights as those covered by Europe’s General Data Protection Regulation (GDPR), that users will have the right to object to the processing of their personal data for marketing purposes, which include custom micro-target audiences for advertising, and how that will be implemented. Zuckerberg replied that he wasn’t sure of how they were going to implement that yet and would follow up. Rep. Steve Scalise (R-La.) asked about Facebook’s data mining and how it goes on for security purposes. So my question would be, is that data that is mined for security purposes also used to sell as part of the business model? Zuckerberg replied that Facebook collects “different data for those,” and would follow up. Scalise also asked how people who made the mistake of censoring Diamond and Silk will be held accountable. Zuckerberg said the situation had developed while he was not there, so he would follow up on that. Rep. Jan Schakowsky (D-Ill.) asked apart from Eunoia Technologies, how many companies were there in total that Kogan sold data to, and what were their names, as well as the magnitude. Zuckerberg said he would follow up with that information, after they complete the audits. Schakowsky also asked how Facebook tried to get those firms to delete user data and its derivatives, and whether they were deleted. Zuckerberg replied that they needed to complete the investigation and audit before he could confirm that. Rep. Cathy McMorris Rodgers (R-Washington) asked what Facebook was doing to ensure that its users were being treated fairly and objectively by content reviewers — bringing up Federal Communications Commission’s Ajit Pai’s allegations that edge providers routinely block or discriminate against content they don’t like. Zuckerberg replied that he would be happy to follow up and go into more detail on that. Rep. G. K. Butterfield (D, NC) asked how Facebook and the tech industry will be increasing African-American inclusion at all levels within, and whether he will convene a meeting of CEOs to ‘quickly develop a strategy to increase racial diversity in the technology industry.’ Zuckerberg replied that it was a good idea and they should follow up on it. Butterfield also asked if Facebook planned to add an African American to their leadership team in the foreseeable future, and whether they will continue to work with the Congressional Black Caucus to increase diversity within the company. He also asked for the numbers on retention of employees, disaggregated by race, starting this year. Zuckerberg said they will try to include a lot of important information in the diversity updates, and that he will discuss this with his team after he gets back. Rep. Leonard Lance (R-NJ) asked Facebook to review the BROWSER legislation and for his support for that legislation. Zuckerberg said he would review and get back to him. Rep. John Sarbanes (D-Maryland) asked if Facebook notified the Trump and Clinton campaigns of Russian attempts to hack in to those campaigns and requests a response in writing to that question. Rep. Jerry McNerney (D-Calif.) asked if there were any other information that Facebook has obtained about him and whether Facebook collected it or obtained it from a third party that would not be included in the download. Zuckerberg replied that all his information would be included in your “download your information.” Rep. Mcnerney said he would follow up afterwards. Rep. Peter Welch (D-Vermont) asked if Facebook would work with the committee to put in place privacy regulation that prioritizes consumer’s right to privacy in the U.S., just as the European Union has done. Zuckerberg replied that he would make sure they work with them to flesh this out. Rep. Adam Kinzinger (R-Illinois) asked if Facebook was giving Russian intelligence service agencies access to global data that was not in Russia. Zuckerberg replied that he had no specific knowledge of any data that Facebook has ever given to Russia. He added that they would work with law enforcement in different countries and get back to what that might mean with Russia specifically. Zuckerberg ended saying that he had no knowledge of any time that they had given them information. Rep. Ben Ray Lujan (D-New Mexico) asked about a recent Facebook search feature that allows malicious actors to scrape data on virtually all of Facebook’s 2 billion users. He highlighted that in 2013, Brandon Copley, the CEO of Giftnix, demonstrated that this feature could easily be used to gather information at scale. Zuckerberg replied that he was not specifically familiar with that case, and the feature, which was implemented a couple weeks prior was a search feature that allowed people to look up some information that people had publicly shared on their profiles. Lujan also asked how many data points Facebook had on each Facebook user on average. Zuckerberg said he would have his team get back to him afterwards. Lujan asked whether Facebook had disclosed to the committee or to anyone all the information Facebook has uncovered about Russian interference on the platform. Zuckerberg said he was working with the right authorities on that. Rep. Morgan Griffith (R-Virgina) asked about Facebook’s plans with rural broadband. Zuckerberg said he would follow up on this. Rep. Gus Bilirakis (R-Florida) asked when Facebook will build the tools to identify harmful content like opioid ads. Zuckerberg said that it would be a longer term thing to build that solution, and in the meantime, content reviewers would take them down if flagged. Bilirakis pushed him on a timeline for this, but the Congressman’s allotted time for questioning ran out. Rep. Yvette Clarke (D-NY) asked if she could get a timeline of how Facebook planned to review ads and big pages. Zuckerberg replied that they would be in place for these elections. Rep. Bill Johnson (R-Ohio) asked what happened to the content reviewer that took down the Franciscan University ad and did not put it back up until the media started getting involved. Zuckerberg replied that he was not specifically aware of that case, but would get back to him on it. Rep. David Loebsack (D-Iowa) asked when will changes promised this time be proven to be completed, and how that would happen. Zuckerberg replied that after their investigation, if they find anyone that misused their data, they would tell people. Rep. Billy Long (R-Missouri) asked about why Diamond and Silk’s content was flagged as unsafe. Zuckerberg replied that nothing was unsafe about it but he wasn’t sure of the specifics of the situation. Rep. Bill Flores (R-Texas) asked if Zuckerberg thought Facebook and other technology platforms should be ideologically neutral. Zuckerberg replied that they should be a platform for all ideas. Flores asked what data will be used, how it will be processed, where and how it will be stored, what algorithms will be applied to it, who will have access to it, if it will be sold and to whom it might be sold. He ran out of time. Rep. Scott Peters (D-Calif.) asked about GDPR and what Zuckerberg thought the Europeans got right, and what they got wrong. Zuckerberg replied that GDPR in general was going to be a very positive step for the internet, and it codifies a lot of the things in there, things that Facebook had done for a long time, such as privacy controls that they have offered around the world for years. As for what they got wrong, Zuckerberg said he would follow up on that. Rep. Richard Hudson (R-NC) asked if Facebook was aware of the national security concerns that would come from allowing those who harm the U.S. to access information such as the geographical location of members of the U.S.’s Armed Services, and whether they were looking at it. Zuckerberg replied that he was not specifically aware of the threat, but in general, there were a number of “national security and election integrity-type issues” that they focus on. He added that with more input from the intelligence community, Facebook could more effectively do that work. Rep. Debbie Dingell (D-Michigan) asked how many Facebook ‘like’ and ‘share’ buttons there are on non-Facebook web pages. Zuckerberg said he would get back to her. Dingell also asked “how many chunks of Facebook pixel code are there on a non-Facebook webpage.” Zuckerberg replied that he would follow up. Rep. Buddy Carter (R-Georgia) asked if Zuckerberg was going to meet the Federal Drug Administration Commissioner next week at the Prescription Drug Abuse and Heroin Summit in Atlanta, alongside other CEOs of internet companies, to discuss this problem. Zuckerberg replied he will make sure someone is there. Yahoo Finance will be following up with each lawmaker to find out if and when Facebook provides answers. Check back here regularly for updates. Google has usually been reluctant to honor European Union “right to be forgotten” requests when people are trying to hide past convictions, but it may have to change its stance going forward. A UK judge has ruled that Google must honor a request to erase search results for a man who had been convicted of conspiracy to intercept communications more than a decade ago. The unnamed plaintiff had shown remorse for his actions, the judge said, and the offense was relatively minor. The court shot down an attempt by another man who had been convicted of false accounting and still seemed bent on misleading the public. Google, unsurprisingly had objected to both requests. The EU policy wasn’t intended as a “right to rewrite history” or “tailor your past,” Google’s attorney argued — you may have rehabilitated, but that doesn’t mean you can pretend your conviction doesn’t exist. The case highlights the challenges Google has had obeying requests under the EU rules, which some of complained are too nebulous. At the same time, it could also establish precedent for future cases. Google and other internet companies might not have the option of dismissing conviction-related requests out of hand — they may have to weigh the seriousness of crimes and the convict’s willingness to reform. And that could be tricky. At what point does a crime become too serious to wipe from search results? How does Google know a convict’s repentance is sincere? As much as this case might have done to explain Google’s responsibility, it may have introduced more confusion. We’re almost halfway through April, and Formula 1’s streaming service hasn’t launched as promised. The racing organization announced today that F1 TV will now be available next month ahead of the 2018 Gran Premio De Espana. Annual subscription rates are available for between $70 and $150, or $8 – $12 per month. “The service will be priced according to market,” the announcement reads. The higher-pried “Pro” tier will offer live races and access to cameras on all 20 drivers’ cars in addition to what sounds like a picture-in-picture mode for viewing multiple feeds at once. As previously announced, all pre-race practices, qualifying races and pre-and-post race press conferences will be streamed as well. The FIA Formula 2 Championship, GP3 Series and Porsche Supercup will be added later in the season. The lower-priced option translates to extended highlight reels and “unprecedented access” to F1’s deep archives of historic video. As far as live programming goes, however, you’ll be limited to race timing data and radio broadcasts, according to F1. That’ll launch on a “near-global” basis alongside Pro next month. For now, there’s a small, closed beta that’ll run through the Heineken Chinese Grand Prix and Azerbaijan Grand Prix. To see if you’re in the coverage zone, hit the source link below. JVCKenwood was a tad premature in announcing head units with wireless Android Auto given that phones weren’t officially ready for it, but that support is finally here… more or less. Google has enabled cord-free Android Auto in vehicles that have an Android Auto Wireless-compatible infotainment system (built-in or aftermarket), but only if you have a relatively recent Google phone running Oreo — that means a Pixel, Pixel 2, Nexus 5X or Nexus 6P. Sorry, folks, your LG- or Samsung-branded phone will have to wait. You’ll also need a USB cable for the initial setup, so don’t leave the wire at home the first time around. Wireless, smartphone-based in-car interfaces have been slow in coming regardless of which smartphone you use. Apple’s CarPlay has supported wireless connections for longer, but it’s still not nearly as common as its wired counterpart. Still, this is an important step. Car manufacturers and electronics companies may be more likely to add wireless support knowing that there’s a wider variety of compatible handsets. HomePod shipments “could be far below market expectations” this year, according to reputable KGI Securities analyst Ming-Chi Kuo. “Our understanding is that the market expects HomePod shipments to arrive at 5-10 million units in the 2018 fiscal year, versus our forecast of only 2.0-2.5 million units,” wrote Kuo, in a research note obtained by MacRumors. Kuo believes the “major miss” in HomePod shipments could be attributable to the speaker’s design and pricing, among other factors. For starters, at $349, he said the HomePod’s high price “could undermine demand despite excellent sound quality.” He added that Siri provides an “uninspiring user experience” compared to competitors, presumably including the Amazon Echo with Alexa and the Google Home with Google Assistant. Kuo said the HomePod’s potentially lackluster sales highlights “underlying concerns” in Apple’s development of artificial intelligence. It’s been six years since Apple introduced Siri to the market, which was way ahead of the firm’s major competitors. The massive population of iOS and macOS users is also conducive to the promotion of the voice assistant function. However, we note that for most users worldwide, Siri is not a must-have function, and Apple has not yet become a leading brand in the AI voice assistant market. We also note that HomePod has not added support for new languages in the device since launch, suggesting Apple is facing challenges in AI/voice assistant development spanning the globe; this will cap the shipments momentum of HomePod. The oft-accurate analyst said Apple is “mulling” a “low-cost version” of the HomePod that may help short-term shipments. However, even if the product materializes, he predicts it will only provide a short-term boost to sales. More importantly, Kuo believes Apple needs to improve Siri, support more languages, and make other improvements to the HomePod to stay competitive against Amazon and Google in the smart speaker market. Premium audio quality alone may not be enough for customers to justify dropping $349 on the speaker. Kuo’s research on potentially lower-than-expected HomePod shipments echoes similar reports from Bloomberg News and the China Times earlier this week. Rumors about a lower-priced HomePod have also surfaced a few times in recent months, with one report suggesting a $150-$200 price in the United States. Apple released the HomePod in early February in the United States, United Kingdom, and Australia, and it also confirmed availability in France and Germany later this spring. AirPlay 2 features such as stereo sound and multi-room audio won’t be available until later this year, according to Apple. On Monday, Apple introduced new (PRODUCT)RED models of the iPhone 8 and iPhone 8 Plus, which went up for pre-order on Tuesday and are available to purchase in Apple Stores as of today. Since it’s an Apple product launch day, customers interested in the new iPhone 8 color can visit Apple.com to check stock at their local Apple stores and arrange for an in-store pickup on the smartphone. 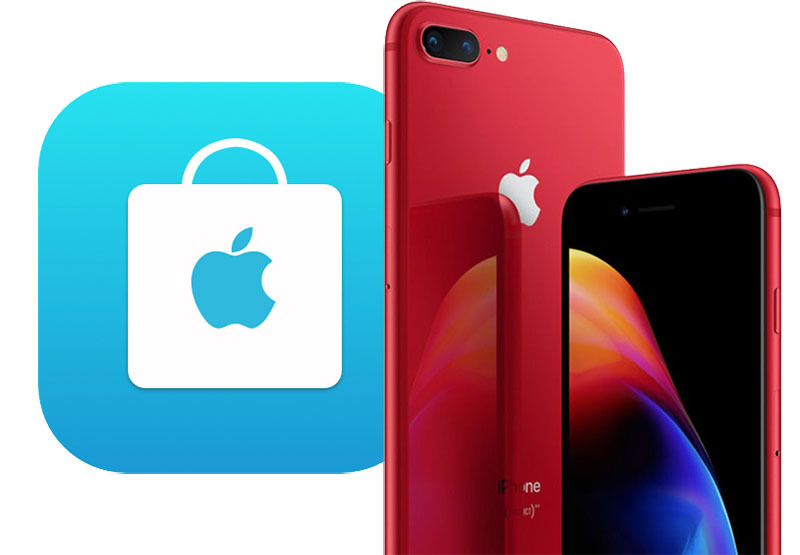 Apple’s iPhone availability tool shows that the new (PRODUCT)RED iPhone 8 and iPhone 8 Plus devices should be easy to obtain today at most Apple stores across the United States and in other countries, in both 64GB and 256GB. Those who don’t feel like picking up at an Apple store, or who don’t live nearby one, can also choose to have the iPhone delivered via free next day shipping. The (PRODUCT)RED iPhone 8 has all of the same internals and hardware as the models that launched last September, including a glass body for wireless charging, A11 processor, True Tone display, and more. In the box, you’ll get EarPods with a Lightning Connector, Lightning to USB cable, 5W USB power adapter, and a Lightning to 3.5mm headphone jack adapter. The new iPhone 8 models are available in stores as of today in the U.S., U.K., Australia, Canada, China, France, Germany, Hong Kong, Japan, New Zealand, and Singapore. Later this month, the devices will arrive in Brazil, Denmark, Ireland, Italy, Malaysia, Mexico, Netherlands, Norway, Russia, Saudi Arabia, South Korea, Spain, Sweden, Switzerland, Taiwan, Thailand, UAE, and other countries. Chile, Colombia, India, Israel, and Turkey will follow in May. Alongside the new iPhone 8, Apple also launched a (PRODUCT)RED iPhone X Leather Folio at $99. As with every (PRODUCT)RED accessory and device, the iPhone 8 and iPhone X Leather Folio are part of Apple’s partnership with (RED), which helps raise money for The Global Fund in its fight against HIV/AIDS.